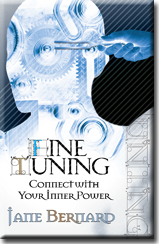 FINE TUNING is the art of changing with the times. It is using the natural gifts of the 6 senses to connect with what you want, need and must deal with, in order to get results in your life that make it feel right in the present. Being fine tuned is how to get through these changes and come out feeling good. Have you ever had a feeling that someone was watching you and turned around to find it true? Have you ever had a feeling that something was terribly wrong, and it was? How many decisions have you made because “it felt right?” Intuition is the inner drive that puts you on the path of possibility. It’s the sum of your potential and it’s always available – you can learn how to tap into it on demand. Am I Really Hungry? is the last diet book you'll ever have to buy! Am I Really Hungry? is a liberating guide for everyone who’s tired and frustrated with traditional diets! 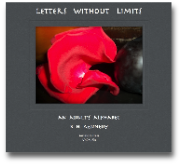 Instead of calories and rules, you get 10 tools to depend on for eating intuitively. It's 'good-bye' dieting and 'hello' long term-satisfaction with your body and yourself. End yo-yo dieting. Learn to eat when you're hungry and stop when you're not. No inner critic, calorie counting or forbidden foods. Who doesn't want more energy, less bloat, fewer mood swings, to stop binging and think more clearly? End guilt and frustration around eating. 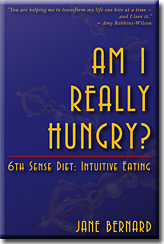 Learn how emotions around eating interfere with real needs, and use your intuitive tools to put an end to confusion created by old habits. Emotional hot buttons around eating, diet and maintaining your healthy weight become a thing of the past with this revolutionary book. With Am I Really Hungry? learn to recognize signals in your Life that keep you in control. Am I Really Hungry? has comfort food recipes from celebrity chefs. It also list ways that you can feed hungry people all over the world without leaving your home, and helpful URLS that tell you everything from how to know what's in your food to how to know when the media is twisting the truth about body image. This book is a treasure trove.